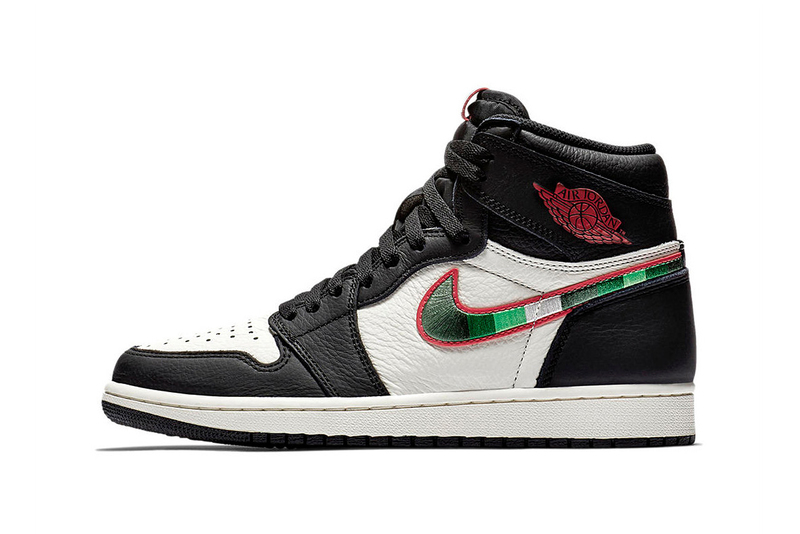 After surfacing back in August, Jordan Brand’s “Sports Illustrated” take on the Air Jordan 1 now has official imagery and a confirmed release date. The sneaker — which is also known as “A Star Is Born” — references Michael Jordan‘s first ever appearance on the cover of Sports Illustrated from December 1984. The sneaker’s colorway references this magazine cover, with a black and white leather upper complete with white, red and tonal green embroidered Swoosh branding. Other detailing — including the Jordan branding — come in red as a reference to Jordan’s Chicago Bulls uniform. Lastly, the sneaker is finished with the phrase “A Star Is Born” on the inside of its side lace flaps. Get an up-close look at the sneaker in the gallery above, and expect it to drop on December 27. In other footwear news, Nike is set to introduce the HyperAdapts to the basketball court.